A satisfying keto breakfast that will perfectly fit in your macros. 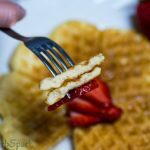 For these keto waffles, that are fluffy, delicious and easy to make, you will need cheap and common ingredients. All my family members, including the little ones, loved these keto waffles and wanted me to make more of them. 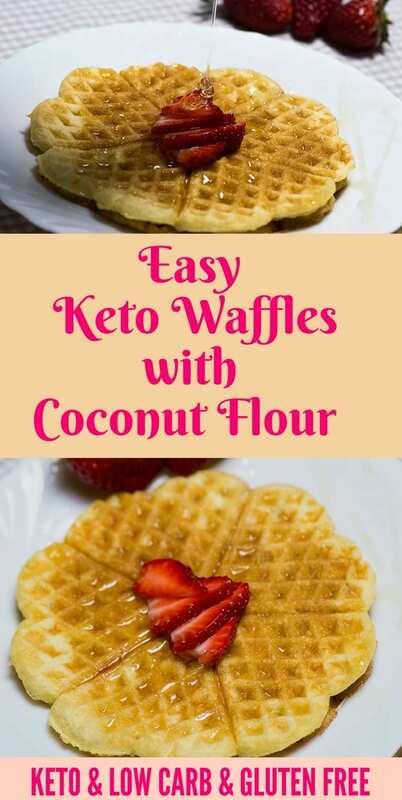 The keto waffles are a low carb dessert, made with coconut flour instead of wheat flour and keto approved sweetener instead of sugar. Adding high-quality vanilla extract and plenty of cinnamon really hits the spot, boosts the sweetness and cut the aftertaste of most sweeteners (at least in my opinion). We are traveling and we found an iron waffle maker in the room we stayed. I instantly craved perfect fluffy, light, and flavourful keto waffles. I could’ve well made my favorite keto pancakes, but why not try something new and delicious? With all the ingredients combined and cooked on medium heat for 2-3 minutes, the result was way better than I expected. 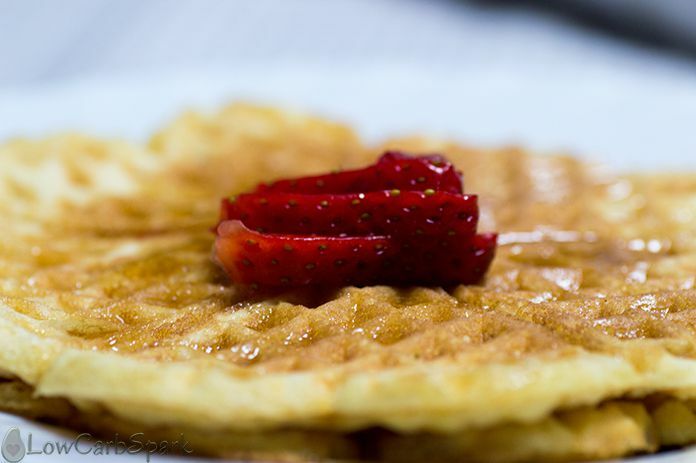 Keep in mind that we don’t add any sugar, wheat flour and yet the waffles are perfect. Probably one of the most amazing recipes I have ever shared with you. I know I probably exaggerating, but I am thrilled and I will definitely buy my self a waffle maker. I am thinking of making a savoy keto waffle to have for breakfast with bacon, eggs, and veggies. By just leaving out the sweetener, adding spices and cheese, you can create your own perfect keto waffles. What about adding lemon juice and poppy seeds? That sounds incredibly delicious and will definitely be as good as my super easy 1 Minute Lemon Poppy Seed Keto Mug Cake. 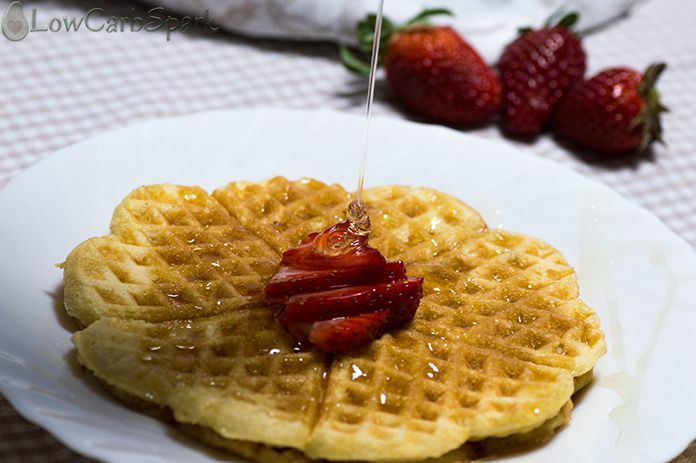 You can serve the waffles with sugar-free syrup, berries or mascarpone cheese. They can be served plain as they are with a cup of unsweetened coffee or tea. 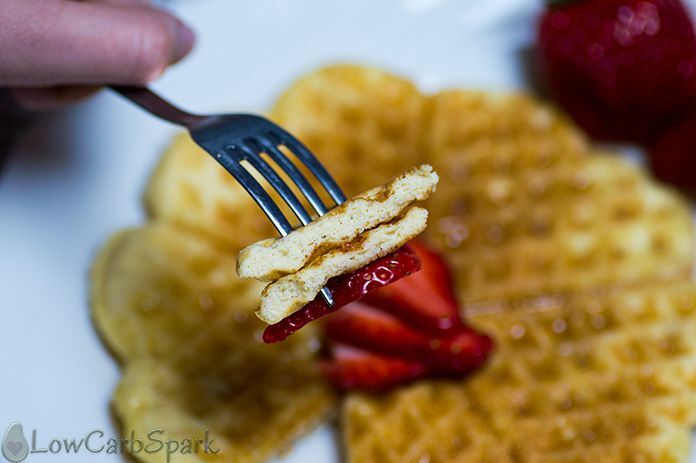 You can freeze them individually and reheat in the waffle maker whenever you are craving a delicious low carb dessert. Use the instructions in the video and use a mixer to make the keto waffles batter. It would be easier to throw all the ingredients in a high-power blender and in 30 seconds the batter is ready. The best keto waffles that are tasty, fluffy and low in carbs. We use coconut flour as a substitute for the high carb classic flour. Perfect for a weekend breakfast. Serve them with your favorite toppings. To store the waffles, freeze them and reheat in the waffle maker when needed. In a bowl using a hand mixer, mix the eggs for 30 seconds. Pour the melted butter over the beaten eggs, the sweetener, vanilla extract, and cinnamon and mix again. Next mix in the softened cream cheese, the coconut flour, baking powder and mix again. Let the waffle batter sit for 4-5 minutes so it gets a little thicker. Pour enough batter into the waffle maker to cook. Cook until golden and repeat until you have no mixture left. If you want the keto pancakes to be dairy-free, replace the cream cheese with canned unsweetened coconut milk and the butter to coconut oil. The Best Hasselback Chicken Stuffed with Mozzarella and Spinach – Keto & Low CarbEasy Bulletproof Coffee | How to make BPC or Fat Keto Coffee? 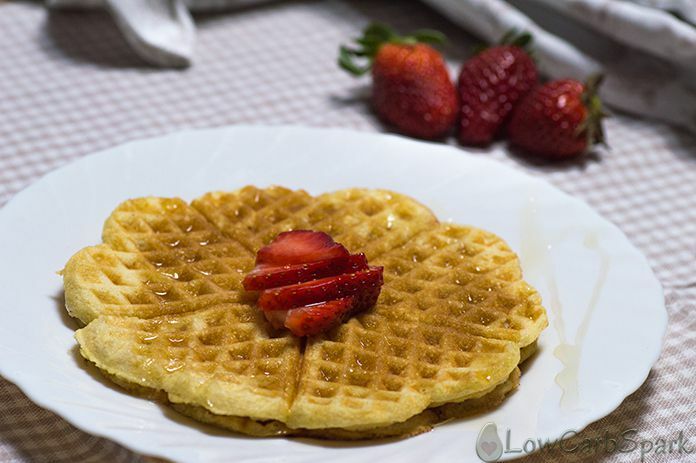 I love Keto Waffles, awesome recipe! Great flavor! I used 1/2 tsp cinnamon since no measurement was given, but was included in directions. I also used Swerve's Conectioners Sugar as I find it gives great smoothness versus a granular sugar. The waffles are very delicate and tasted great with Lakanto Maple Syrup. Even my husband, who is an "Aunt Jemima Purist" liked them as long as he can have peanut butter on them. Thanks for posting and great blog!! Thank you, dear. I am glad you loved the waffles. A little confusing, as ingredients say coconut or almond milk, but do not say when to add it, and the method says to add cinnamon but they are not listed in the ingredients! Made them a couple of times and they still turn out nice though. I add the milk at step 2, and add a pinch of cinnamon. Hi Diane. You are making them right. As you can see in the video, I add the coconut milk over the eggs along with the rest of the ingredients. In fact to make these keto waffles you only have to mix all the ingredients and wait a few minutes and then cook them. Hi Ioana, thank you, I managed to work it out in the end. I had not seen the video at first, but just printed off the recipe then realised the mistakes mentioned. They are still yummy! The waffles came out really good. Thank you for the recipe. I haven't found a good keto waffle recipe until now!!! so yummy, I forgot they were coconut flour! I made the waffles and LOVED them!!! Big Thank you! !